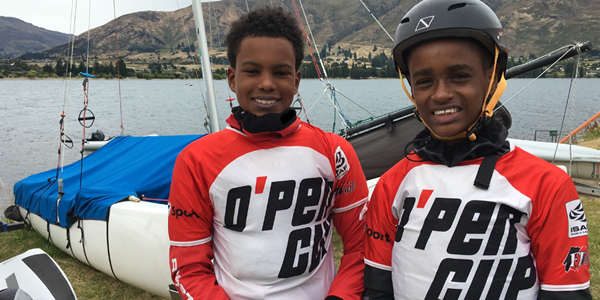 Two kids have conquered sailing in New Zealand so their next stop is to participate in world sailing events as well. This is with reference to Christopher Raymond and Azhai Smith, both being in their early teens. They were triumphant in the Open Bic National Championships which was an inaugural event, being held for the first time away from Pula. The pair obtained this opportunity courtesy the Endeavor program hosted by America’s Cup organization. Christopher was able to claim the Silver Fleet while Azhai claimed Gold in Dunedin. Azhai had watched his father and his colleagues’ man boats as his father was a worker in ferries. He was given the chance to practice in the harbor and it definitely helped him when he obtained the opportunity to participate in this inaugural event. Azhai now looks forward to taking part in the America’s Cup as well as represent Bermuda when the Olympics come near. Christopher on the other hand, had received training in sailing through Endeavor program. The pair has tasted success and they do not want to slow down now. They had been nominated by their respective instructors from the East and West End programs. Their performance was judged on parameters like attendance and performance in national championships. Azhai states that the selection rounds helped him to this stage and it is an exciting start. He loves the competitions as it helps one to explore new regions and water bodies. Christopher and Azhai were initially nervous, but they were excited and made most of the opportunity given to them. This showcases how young talent is being nurtured in New Zealand and other countries by programs like Endeavor of America’s Cup. It is a great way it gets the next generation to come up in sailing, even in communities where sailing has not been a sport that people have tried before.